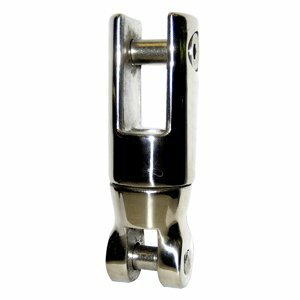 SH8 Anchor Bullet Swivel - 8mm Stainless Steel Bullet Swivel -f/11-44lb. Anchors A swivel or shackle between the anchor and rode is necessary for the anchor to enter the bow roller properly and for the rode to be retrieved without it twisting. If you have any questions about this product by Quick USA, contact us by completing and submitting the form below. If you are looking for a specif part number, please include it with your message.